A while ago, I stumbled upon a cool blog called Covered. It's a blog where basically artist's take on existing comic book covers and create their own versions. The new covers are posted on the website along the original ones, and only one cover is posted per day. I had a lot of fun browsing through the site - some covers were wonderfully re-created - and it wasn't long before I felt the urge to contribute. After I knew my participation would be welcome, I started thinking about what to cover. 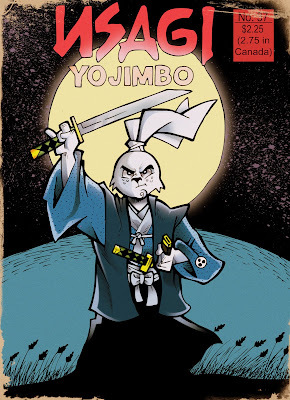 That turned out to be easy as well - I had been reading Stan Sakai's Usagi Yojimbo, and loving it, so I immediately turned to that. Who could resist drawing a rabbit ronin? 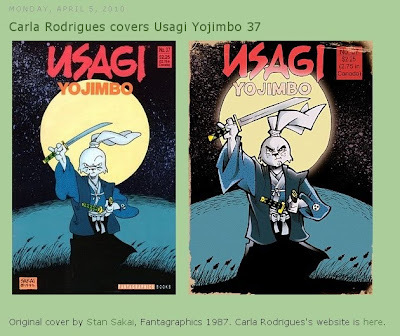 So I covered Usagi Yojimbo number 37. It's been a while since I drew the piece, and the site is receiving a lot of contributions, so my work was scheduled to show up on April 5th. And sure enough, there it was, yesterday! That's a screenshot I took of the blog, showing Stan Sakai's original on the left, and mine on the right. You can take a better look at my version below. 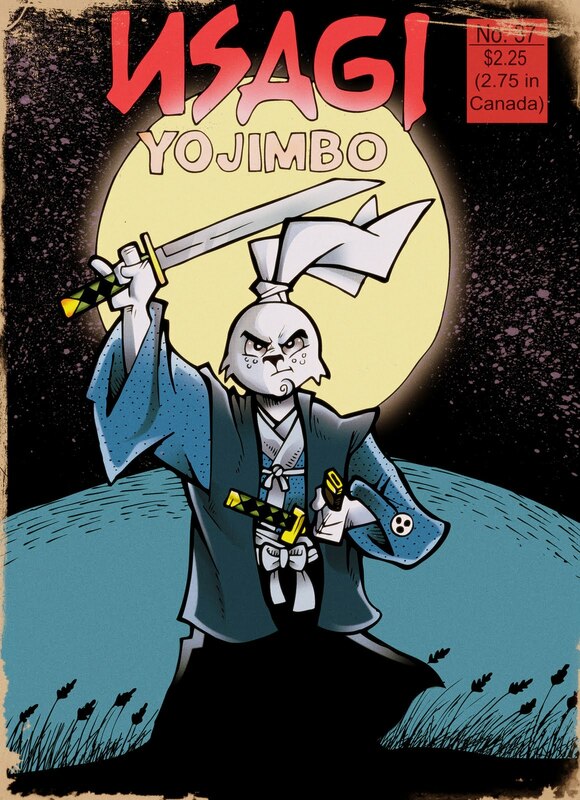 I hope you enjoy it, and read Usagi Yojimbo if you get the chance! whoa! cools that is really great, it looks better than the original. I like the worn cover effect too nice touch. It looks really cool, i kinda like your more! Afilhado - Samurai rabbits are the best! You're also too kind and awesome!